Momo by Michael Ende is one of my favorite books. As a child, I would stay up late and read it under my bed covers with a flashlight. Momo lead to the Neverending story which, in turn, pointed me to a book of short stories by Ende called "The Prison of Freedom", which gets its name from one of the stories. The truth is that time has blurred my memory and I have a hard time distinguishing between what actually happens in "The Prison of Freedom" and what I think happens. Accuracy is irrelevant: "The prison of freedom" tells the story of a boy who is taken by his wealthy father on a perpetual business trip throughout the world, while being left in the uninterested hands of a neglectful butler very much fond of prostitutes, and a succession of inexperienced teachers lacking character and personality. With no other family and no long lasting friends, the boy grows up virtually on his own. After a few years of living in luxurious hotels all around the world, this boy realizes that people around him keep talking about a strange concept that is completely unknown to him. Whatever "home" may be drives his curiosity and he starts asking people around him (the teachers, the staff from the hotels, his neglectful butler and even the prostitutes) to tell him more about their "home". Home seems to mean something different to everyone and involves all kinds of places and people, but he realizes that everyone smiles when they talk about it and "home" emanates a feeling of belonging. To his despair, he finally understands that there is no place on Earth that means anything similar to him. Father dies and the boy, now a young man, inherits a great fortune that he spends on solitary trips around the world, looking for a place where he belongs. 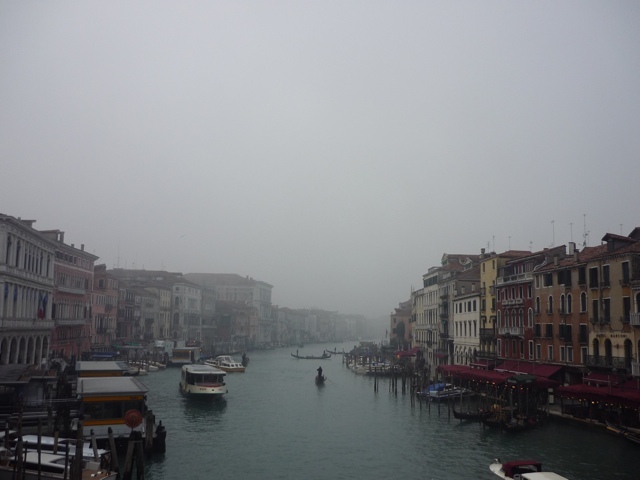 He finds himself one foggy night walking through the narrow streets of Venice, more depressed than ever. Maybe he was blinded by the fog, maybe he tripped on purpose. Either way, he falls into one of the canals and is miraculously saved from drowning by a man. Surprised, frustrated and embarassed at the same time, he runs into the labyrinth of streets until he is completely lost. He stops and looks into the window of a shop, where he sees a painting of a hunting scene. Several men, the hunters, are shooting arrows at a deer. Upon closer examination, the deer is in fact formed by the arrows that are being shot by the hunters. An inscription in latin says something along the lines of "The object of your quest may not be known, but it is the quest itself that will show you what you are looking for". The shop is an antique store selling all sorts of objets, paintings, maps, compasses. The young man, captivated by the painting, walks into the store and finds exactly what he was looking for. I was in Venice on a foggy day last week. I'm persuaded it must have looked exactly the way Michael Ende imagined it for this story.